Another lunch-at-work meal but not the one I thought I had. I grabbed the wrong pie out of the fridge as I shot out the door in the morning and when I got to work and threw it in the fridge my heart skipped a beat. Because I work on roadworking sites, we don&apos;t have what you might call civilised amenities. We have to make do with a turd tardis. You call them portaloos. They are one of the scariest things on any site for me. I have seen one of those things get accidetally tipped over while someone was using it and it was not a pretty sight. Or smell. I try to pick foods that wont go through me until I am at home. Mexican pie? Beans? Spicy salsa? What a nightmare. Lunchtime comes and I am starving. Nothing else there and I can&apos;t swap the pie with anyone else because its a review thing, so I had to grit my teeth and go for it, hoping I could clench long and hard for the rest of the day. A fast burst in the microwave and the pie was ready to eat. No plates or cutlery, just hands and a few napkins from McDonalds. After cooking, the pie was actually quite good. These guys know how to make some kind of magic pastry that doesnt turn to jelly or leather when nuked. The filling was something really special. Beans and corn and sauce and flavour and sour cream, but none of it made a mess or anything. It was very easy to eat and I didn&apos;t get any on my vest or anything. So tasty too, it reminded me of the chilli from Wendys restaurant where I usually go to grab dinner if I work late and can&apos;t be stuffed cooking, but without the meat. I&apos;m a meat lover anyway but this was a really tasty pie that even I loved to eat. If I see them cheap in the supermarket, I think I will grab a half a dozen to throw in the freezer at home, but I am not going to risk taking them to work. I had no issues with it this time, but I don&apos;t want to burn out my luck by pushing it eh. 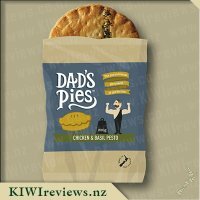 This was the last of the pies that I had to review, probably because I was dubious about this one the most, I haven&apos;t encountered many vegetarian pies that taste good or are in fact full vegetarian (so many claim and still use meat fat in it). This is the first pie out of the nine that I got to review which broke on me upon taking it out of the bag but half an hour in the oven didn&apos;t cause it to dry out etc. so that was fine. I cut it in half to share with my husband but it took me a minute or two to muster up and bite into it, large beans always worry me, it&apos;s not a texture that I like... However I needn&apos;t have worried as whilst there were some mashed in and some whole beans I could hardly tell that the beans were in there. The "sour cream" didn&apos;t really taste like sour cream to me, however, it did add a really nice, creamy and cheesy taste to the pie and it seemed to be evenly distributed throughout the pie which was a big plus and I could taste it every bite. My husband, who can be very fussy about vegetarian foods, loved this pie and actually asked if we could buy it for dinner one night and I know I could get it for my mother to eat with a good amount of trust in the product. Even at $4 per pie, if I do this as a dinner for my family instead of takeaways, then even adding in something to drink and fries on the side, price wise it&apos;s still good. I will be buying this pie again for sure. I like wordplay. There is something very rewarding about dissecting words and recombining them to make new ones. So the Dad&apos;s Pies variety with the name Mexitarian just had to be a vegetarian pie Mexican style - and it was! Beans, tomato, sour cream, spices - all the ingredients for an authentic nacho meal but with sunflower seed-topped piecrust instead of corn chips. I have had lots of vegetarian meals in my time, and, when well prepared, they can rival and sometimes surpass the best meat based meals. (Incidentally I eat pretty well anything so I am not prejudiced.) This pie was for me a complete success. 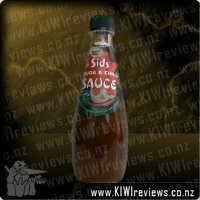 The sauce was very creamy, although it could have been better distributed since the cream was all on one side. There was a strong tomato flavour and the filling (beans, corn and peppers) was chewy and really filling. I did not miss the meat at all. I thought about what to serve it with and decided to go totally international, so Greek salad it was. Olives, baby tomatoes, salad greens and feta cheese made for a very colourful platter and offset the plain appearance of the pie. Unlikely as the combination sounds, it worked really well. The pie was surprisingly dense, much more so than most of the meat varieties I have tried, and it was also quite rich, so the tartness of the salad made the meal a lot lighter. 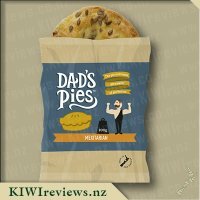 I would like to see Dad&apos;s Pies produce more vegetarian pies. There has got to be a market for them and if this one is an example of what they can make, they are sure to sell them. Especially if they think up more creative names to intrigue people like me! Top marks for a great product. I have a friend that is a vegetarian that often turns up in the morning eating a Mexitarian pie for her breakfast. She loves them and has it as her weekly treat. When I heard that Dad&apos;s Pies had given some to KIWIreviews I put my hand up quickly. 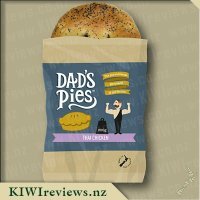 When I got my selection of pies this was the first one I tried. I certainly wasn&apos;t disappointed. I even sent my friend a text telling her how fabulous I thought Mexitarian pies were. I heated it in the mircowave due to my impatience and also the thought that it wasn&apos;t worth putting the oven on for one pie. Then I lifted the lid (as I always do to eat pies) I noticed that about 1/2 the top was covered in sour cream.The authentic Mexican smell was mouthwatering. I could also see beans, corn and salsa. The pastry was just right. It was hard to believe it had been heated in the microwave. I loved the taste. It wasn&apos;t too spicy but was still full of flavour. The whole pie had disappeared before I realised it, and no one was sitting near me to steal any. I love my meat so for me to enjoy a vegetarian pie this much surprised me. I would certainly consider buying it and I am pleased to see there is a great vegetarian pie available to cater for the herbivores. Vegetarian foods are something I have had to become used to, with all of my travel doing Missionary work. Some of the places I have been are not tolerant of meat eating in meals and as such finding ways to replace that missing protein is sometimes a very tough mission of it&apos;s own. So, prepared for something that was either going to be so full of spices as to drown out any other flavour, or something that was going to be in dire need of addition flavours, I heated up the pie with my curious flatmate beside me. The wonderful smells that surrounded us as we opened the oven door gave me hope for a tasty pie that would be both pleasing to the taste and filling to the stomach. There were some very definite Mexican smells filling the kitchen I can tell you, and the two of us were eyeing each other up to see who was going to make the first move on the pie while it rested and cooled down a little. In the end I had no choice but to share this with my friend, and he was very grateful for the gesture. We both agreed this was a very nice pie, but the lack of meat made it a little less than idea for both of us. Still, for those who can&apos;t, or won&apos;t, eat meat, this is a pie you should give a go, especially if you like Mexican food. It had spice, it had a bit of heat, and it had a great texture. What it also had though, was a ring of crust that one could use as a frisbee. It was the only let-down for me. My flatmate on the other hand, called it "pie crackling" and gleefully wolfed it down, so clearly it is not going to be an issue for some. When it comes to vegetarian food I have to admit that I haven&apos;t eaten a lot of it in my time, and I&apos;m almost certain that I have never tried a vegetarian pie before, so this was to be something completely new to me. I wasn&apos;t really 100% sure what to expect when I was requesting this pie but decided it may be worth a try, and that perhaps I might really enjoy it. Hearing the word Mexitarian, made me think it would taste similar to a Mexican meal but without the meatyness that i&apos;m used to. With me not the biggest fan of anything to hot and spicy I was a wee bit worried about just how much heat that this pie would have, as reading the ingredients there were a lot of ingredients which suggested that it may be a rather hot pie, chilli beans, onions and red and green capsicums, though I was in hope that the addition of sour cream would make it more mild. We had some friends coming over for dinner and had planned to have a BBQ with meats, salad and garlic bread, however with one of our guests being a vegetarian it sometimes makes it hard to think up what we can serve that&apos;s filling and suitable for them. This was the perfect opportunity to cook up this pie, being from Scotland where there is a lot of vegetarian food options available our guest often finds it hard to find decent quality vegetarian meals in New Zealand as there isn&apos;t really much readily available for her, knowing that she likes pies I was interested to see the response she gave in regards to this Mexitarian pie. The pie baked in the oven for 20 minutes and came out crisp and golden when removed from the bag, it had a lovely addition of pumpkin seeds on the top of the pastry which looked really appealing. The sauce was was rich and thick and was packed with beans, corn and capsicum these were all in a good portion and seemed to cook perfectly encased in the spicy tomato sauce, I had a small taste of the pie and thought the sour cream certainly seemed to balance out the flavours making it nice and mild, without the sour cream I don&apos;t think I would have been able to stand the heat myself. I asked my friend what she thought of the pie and she said it was a great option for vegetarians and something different than the usual vegetarian pies which tend to be filled with tofu and fake meat products, and that the pastry was definetely much better than other pies she had eaten, she liked the flavours and the balance of herbs and spices and didn&apos;t find it to spicy. Though not a pie I would personally eat myself as there are much yummier flavours out there, I&apos;m certain that vegetarians would enjoy this, and as my friend said she would definitely buy these pies again and have them on hand in her freezer as a quick meal to heat up. 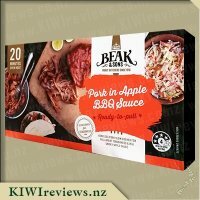 As with most young New Zealand males, I love meat. Meat is often the part of the meal that I leave to last as it is the part I want to enjoy last; the guaranteed best part of the meal. The more meat the better. So I was apprehensive about a vegetarian pies. Without the meat vegetarian options just don&apos;t fill or satisfy my cravings. I ended up being dragged out to Denny&apos;s for breakfast on Christmas Eve, so with family commitments, the pie ended up sitting in the fridge for several days before I could get around to cooking it. After cooking it for 10 minutes in the oven, it came out nice and crispy, so it was good to see it holds up to the mentioned shelf-life of 13 days. No loss in quality from sitting in the fridge. As far as appealing to my meat-focused tastes however, this pie does try. 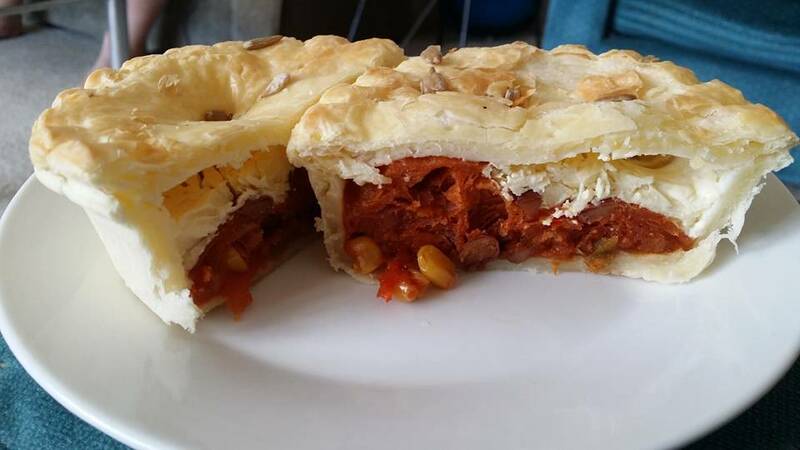 With both chilli beans and kidney beans, this pie is certainly filling. The chilli beans, sour cream, and sweetcorn do give it a "mexican-like" flavour. But I wasn&apos;t satisfied by the taste. While it had mexican notes, the tomato, capsicum, onion, and pizza sauce, ended up making it a much more overpowering "pizza with chilli beans on top" flavour. I was hoping for a lot more beans, and a lot less tomato. My flatmate tried it as well (a vegetarian of 2 years) and he remained unsold. Unhappy himself with the texture of the pie, and the strength of flavour from the sour cream. So this product misses the mark in our household. 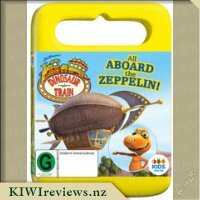 While it is a nice change in flavour for vegetarians who are unable to eat the meat products, quality-wise, the classic Creamy Vegetable varieties were preferable to this product. As I write this review I am looking at the remaining third of my mexitarian pie, but it doesn&apos;t appeal to me. Filling, and okay in flavour, but too much tomato for my liking, and not an enjoyable texture. Filling but not satisfying. I think my one of these pies was cursed or something... FIVE TIMES I sat down to attempt to eat it for lunch the other day, FIVE TIMES someone turned up and prevented me from getting it down me. I hate to feel rude by eating while I have guests - having guests at all is such a rare thing for me - so I didn&apos;t feel right about asking them to either hold on or come back later while I attempted to look civilised cramming chunks of pie into my mouth in record time to avoid inconveniencing them any more. Eventually, after an initial 2.5 minute cycle at 70%, then FOUR more 45-second bursts at 50% to try and get it back up to eating temperature... I gave up and just ate it luke-warm. I was shocked, and impressed, to discover that even after all of the heat-cool-heat-cool cycles, the pastry was still quite edible! The fillings were still flavoursome, and I really quite liked the pie... which is odd for me, since I adore meat in pies, and especially meat in my Mexican dishes. There&apos;s nothing much on the package to indicate that this is a fully vegetarian pie... reading the ingredients list will immediately tell you "no meat" but it&apos;s highly likely that a vegetarian isn&apos;t going to even bother picking it out of the freezer. I would like to have seen more of an &apos;in your face&apos; promotion of it&apos;s non-meat status. Discussions with the sales crew informed me that the &apos;sour cream&apos; stated in the ingredients list is a non-dairy replacement - again, no sign of that being made clear on the packet - and that there is no animal fats used in the pastry - once more, no indications on the packaging. These huge gaps in the marketing mean that the potential consumer base for this variety is being drastically under-informed, and as such is likely to be skipping over this pie entirely. But... what does it taste like? Answer, even to a died-in-the-bone carnivore like me... this was one mighty fine pie. Full of flavour, a bit of spice but not too much for me, anyway.. Great texture, with the slight exception of a few drier-than-others corn kernels that didn&apos;t please my tender teeth at all. Overall, this is a pie I would seriously consider buying in future. I wouldn&apos;t pay the going rates at Wild Bean Cafe for them, but if it was a week I had a bit of extra cash in the budget, I would seriously consider stocking up on a few of these for &apos;can&apos;t make up my mind what to do for dinner&apos; solutions. When I told my family that we were going to try a Mexitarian pie they didn&apos;t know what I was talking about. The kids thought it was a rather funny name and Mr Six asked if that meant it was vegetarian. I was quite impressed that he came up with that. When I answered him that the pie is in fact vegetarian, he responded "oh, ok, I might not like it then". 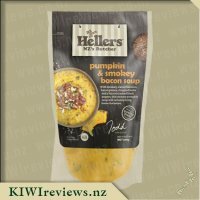 The interesting fact is that the packaging doesn&apos;t mention that it is vegetarian - the name implied it for me and the ingredients list backed it up. I cooked the pie for a bit longer than 20 minutes as our oven seems to take longer to cook everything! As per the instructions, I kept it in the bag while cooking. When I cut the pie into quarters to share it with my family, we noticed immediately that there was sour cream inside the pie. Although I didn&apos;t know what to expect inside the pie (I didn&apos;t look at the ingredients prior to this), I was surprised to find a decent blob of the sour cream. The kids were interested in the pie and wanted to smell it. Miss Three liked the smell, but Mr Six didn&apos;t. I thought it might be promising for Miss Three to want to eat it too! Inside the pie we could make out the sour cream, beans and corn. It was good that some of the beans were whole rather than mashed into the sauce. The texture and flavour of the filling was a bit like having nacho topping but inside a pie. The pastry of the pie was very nicely cooked and held together well. We were impressed that the pastry wasn&apos;t all greasy. 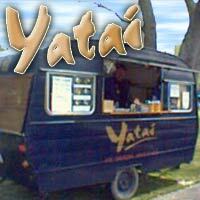 It was very enjoyable to eat. Neither of the kids enjoyed eating the pie, so my husband and I were the lucky recipients of their share. We found that there was a tiny bit of spice but not too much, although the spice did seem to increase a little as we ate more. This is a novel idea for a pie and I think that it worked well. I think that it would be a great option for a vegetarian. There aren&apos;t too many options for vegetarians when it comes to pies. 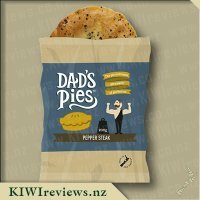 When I looked online, I found that Dad&apos;s Pies are sold in some BP stations. I am sure that vegetarians who top by those BP stations would enjoy the chance to try one of the pies. 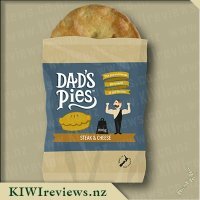 Both my husband and I meat eaters and typically go for mince and cheese or steak and cheese pies, however, we both found this pie to be very nice and enjoyed it for a change. 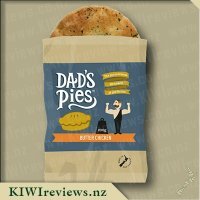 Out of the the four pies of this brand I&apos;ve tried so far, this one was a bit of a disappointment, as it is my least favourite so far. Forgive me if I started off that first sentence sounding a little harsh, but I meant it. When I saw the name of this pie, I was expecting something like a nacho pie, an idea I&apos;ve tasted before and enjoyed, but I think what made this pie unpleasant for we was the fact that it took me by surprise. For starters, the flavour was offset by those dried sweet corn kernels, which I initially thought were some kind of seed. They had a weird texture, they were soft, so not hard like popcorn, and the flavour itself was almost stale, which makes me question the age of the kernels a bit. They were the big "bad taste", however, and the fillings weren&apos;t so bad. It was interesting to find sour cream inside, as it is not a typical pie filling, but if there is one thing this brand does not do with it&apos;s pies, it&apos;s sticking to the norm. I was not surprised to find beans inside, but I could have sworn there was meat inside this pie, so the beans did fool me a bit, and perhaps that&apos;s another reason why I disliked this one, I have quite a carnivorous ingredient palate, so vegi pies are not quite my thing. With this in mind, however, I would say that perhaps this pie has a bit of health value, as it is pretty much just veg and dairy, oh, and pastry. Overall, the pie was not too bad, I was able to finish it, it just wasn&apos;t as pleasant an experience as I would have hoped it to be. Final detail: preparation. The pie was easy to cook, I didn&apos;t heat it from frozen, as none of the four pies I&apos;ve tried so far have lasted long enough for them to ice up in the freezer, but it took about 2 and a half minutes on full for me to heat this up, I don&apos;t know the exact wattage of our Microwave, but if you have a rough idea, the instructions on the back of the wrapper will help you out as to how long to heat it. I was also impressed by the fact that the pies from this brand use those special oven-bags, the perforated type that use the microwaves to turn it into a bit of a steam oven, cooking the pie more evenly and gently, so all the ingredients can cook a little bit, instead of some being left cold while others are turned into edible napalm. Overall, very impressed by the quality of this pie, not so impressed by the flavour, but that&apos;s just my opinion, I would still recommend trying this product out for yourself, as you either find it a bad taste or an enjoyable flavour experience, who knows? Not being vegetarian, but enjoying some vegetarian food I was unsure what to expect with this pie. I enjoy a good chilli con carne especially if it is vegetarian so my hope was that it was like that - not something you would normally find in a pastry case. After cooking in the oven and opening I was surprised that it was covered in sunflower seeds and looked very appealing. I decided that the best way to taste this pie was by taking a bit of both the pastry and the filling at the same time. The filling was thick creamy and very sweet and a number of taste rushed over my taste buds. Although there was a variety of tastes it was very hard to decide which was which ingredients - which is a good thing. The one thing that was very distinctive however was the chilli after taste. I loved the textures in this pie, with kidney beans, corn and the crunch of the odd toasted sunflower seed. 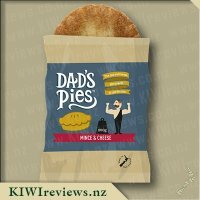 I was unware until this came up for review that Dad&apos;s Pies also supply Wild-bean Cafes and that this was a pie that I had purchased previously from one of these cafes. I remember at the time that I was surprised of the flavour and unaware that it was vegetarian (I don&apos;t feel that the name or packaging makes this clear). Overall I think that this is a very nice pie (not what you would expect) although felt that it a little too sweet and got a bit sickly by the end of the pie because of this. 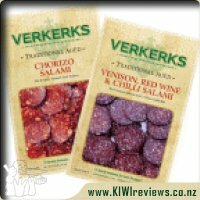 Verkerks Traditional Aged Salami is made according to the processes Aalt learnt in Holland in the 1940s. Natural fermentation and further aging provide a distinctive rich flavour. Available in Chorizo & Venison, Red Wine & Chilli.